Schlepping around the shops to find myself an outfit for the Scotland Style Awards reminded me of why I love online shopping: no crowds, no carrying, no rain. As much as I love Glasgow, and I love the thrill of the hunt that is shopping in actual stores, sometimes it’s just better to buy things online. LTS has failed to keep up with an increasingly design-savy public, and this whole ‘Lisa Loves’ business leaves me cold (Is it just me? Who is this woman?). That said, I love the British heritage feel of these Serro check trousers. I didn’t see them when I was in the Glasgow store on Friday, but they’re online. This throw will be perfect for that train ride down to London this Christmas. There’s really nothing nicer in winter than cashmere. And right now, they’re offering a 15% discount with code ME15 if you order by 14th November. Remarkably, there are still some sale items on the Anya Hindmarch website. 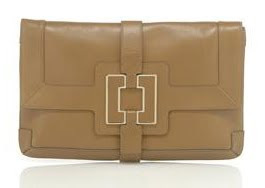 My favourite item is this Wilde clutch in tan glace leather. I bought some face wash from Origins in John Lewis at the weekend, and they gave me 2 samples – both of which I tried and am keen to try again. Now that it’s colder a nd my skin is a bit dryer, and the darkness makes me tired all of the time, I’m looking for a richer eye cream. 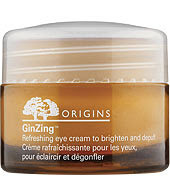 Origins GinZing Refreshing eye cream to brighten and depuff feels and smells lovely, and I don’t know if it’s just the power of suggestion, but I did think my eyes looked a bit brighter after using it. The other product I tried was Modern Friction, a ‘natural’ dermabrasion scrub. I was alittle concerned at first, as visions of a neurotic former Seventeen model I had gone to university with floated through my mind. She had come to acting class once looking like the victim of some sort of medical experiment, with cracked, bleeding skin on her face, the result of dermabrasion. I never understood why she was willing to undergo such discomfort, especially considering she was only in her late teens/early 20s at the time! No thank-you. But I was pleasantly surprised by this Origins scrub. It left my skin feeling fresh, soft and new without any irritation. I tend to be a relatively conservative dresser, but I like to go a bit bigger with my accessories. This ring from Blaguette is perfect, particularly as and I’m having a total rose gold moment, and it’s rose gold plating contrasts really nicely with the white cubic zirconias. I also love this black and white version, a nice alternative for evenings out near Christmas. 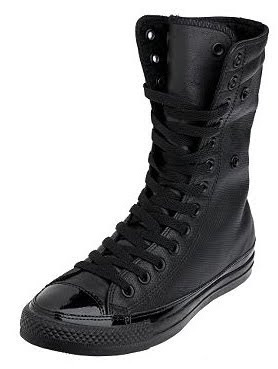 I'm wearing holes in the soles of all my trainers, so I want to get these super high tops by Converse which will not only look a bit formidable, but will also keep my ankles warm. Unfortunately, to buy one of the gorgeous dip dyed, long line cardigans they're doing at Gap at the moment, I'll actually have to go in-store. But I think it will be worth it.